In the 15th minute of the 2016 Champions League final, Sergio Ramos scored to put Real Madrid up 1–0 over Atletico Madrid. 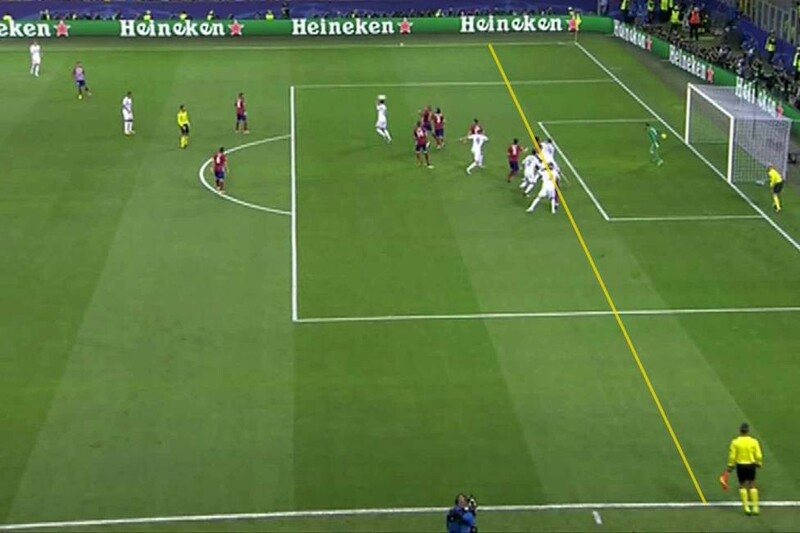 Ramos appeared to be offside when he scored, but referee Mark Clattenburg allowed the goal to stand. In the second half, Atletico’s Antoine Griezmann missed a penalty, but Yannick Carrasco scored in the 79th minute to send the match to extra time, then a shootout, which Real Madrid won 5–3. The claim made by Rojiblanco supporter José Antonio Campón is for a total of €1,660 euros (€160 for the price of the ticket and €1500 for “moral damage” caused) and, as is written in the official suit document, fingers the blame at UEFA for “not applying all means to safeguard the fulfillments of regulations and choose persons (Clattenburg) who did not fulfill their duty as would be demanded”. Comparing an audio malfunction at a movie theater to a controversial goal in a football match is flat out stupid. By this line of thinking, should Griezmann also be sued for not putting a shot on target with his penalty? Should Atletico’s defenders pay out for not containing Sergio Ramos? Should their goalkeeper be punished for not stopping a single spot kick in the shootout? The reason Campón is targeting UEFA and Clattenburg is to highlight the need for video technology in football, but a frivolous lawsuit seems unlikely to be the instrument of change on that front. If anything, all this is likely to do is give Cristiano Ronaldo the idea to sue his teammates when they don’t pass to him.